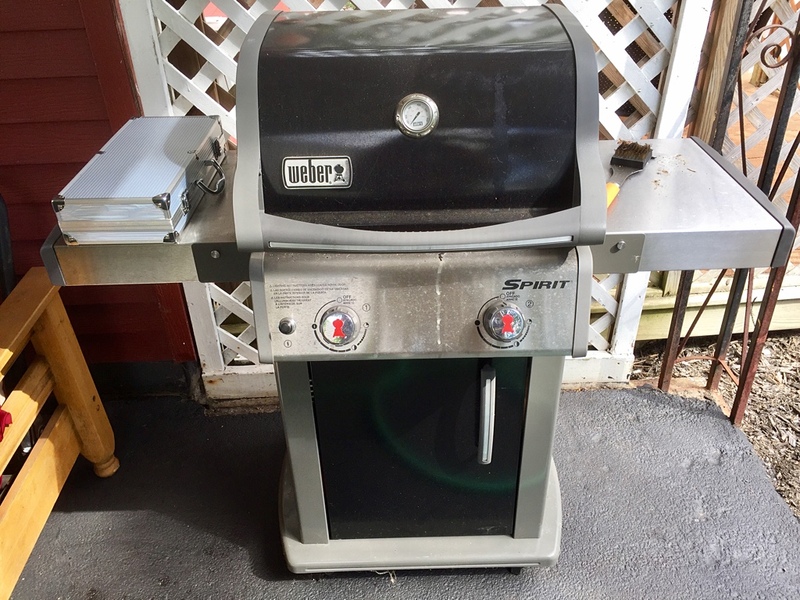 My dear wife Karen and I have been extremely satisfied with the Weber grill we picked to add to the backyard ambiance of the first summer at A Bitty Better in the Liverpool neighborhood of Galeville. This propane grill has been the best outdoor cooker I’ve ever owned. Having experienced our first winter here – we’re coming up to the first anniversary of the late October http://wp.me/p3dLY1-5WBmove-in – we know that snow blows through the little alcove where the barbecue sits. Ready for the next two seasons. So I went back to Ace Hardware, where we bought the baby on a great deal this spring, and found the right cover for it. Fits perfectly, and will keep our Weber sharp for Season II. I hate when the cover goes on…ours is in a somewhat protected spot, and I use it all year long. We got a “spirit” this past Spring, it cooks so evenly. Spirit is not bad at all, but wait till you get your hands on the Genesis II… Now THAT is a truly mean machine. I’ll be sticking to my Spirit for a while, I have a feeling, Ed. Well, as I said… Spirit is not bad at all. In fact, any Weber easily beats most of other BBQs :). Here it comes, Willow. Yikes! Grilling year round here. Had forgotten about the sad seasonal coverup. Great post though. I am certain many empathize with you. Good news is spring will return. I’m glad you get the full year-round use, JoHanna! 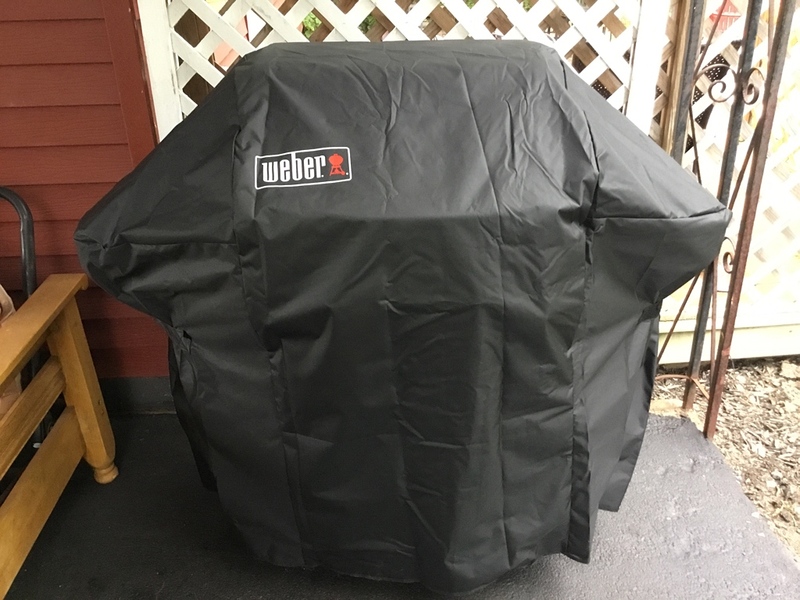 Rest well little weber….you will be busy soon enough again. You just reminded me of all the outside work I need to do before the snow! Or not. Yeah, Scott. More here, too. You are so talented, Bro Mark. Send me some ribs next year, okay? Weber is the very best, according to my little brother who is actually not so little any more. Your little bro has good taste, sis Angie! Some great steaks are being made on that baby! The steaks are high indeed, Nancy. Had to say it.